Course: Campus looks far nicer than what I thought Rutgers would look like. Course was a constant onslaught of small hills throughout. Humidity sucked the life out of me. There were numerous aid stations throughout but I don’t think the drink of choice (Nuun) really gets it done. Course was well marked and marshalled. Swag: T-shirt and medal. Expo bib pickup is MANDATORY so you need to either go there before race day, get a friend to go there before race day or cough up $22 for your packet to be mailed. Course: You’ll run out and back up and down a gravel trail through pine tree lined woods. Views of the canal were nice but industrial areas towards the end we’re as pretty (and the smell of sewage was strong at points). Some of the surfaces were hard to run on (e.g., concrete erosion control grating). Biggest beef was with the course marking. I got lost twice due to race management issues. Once I missed a white paint turn marking that was on the back side of a hill (and only turned around because another runner whistled at me). On the way back, there was no marking where the trail split and I got totally lost. Also, the mile markers were way off. Swag was OK. Nice orange dayglow LS t-shirt. Custom medal was simple (just the race logo). Overall and age group awards looked nice. Post-race refreshments were pretty good. Race took place on the snow and ice covered gravel C&O Canal Trail. The weather was not too bad but the trail conditions made it difficult. Race management really needs to be worked on. They had 3 water stops on the out and back course (one at Mile 1.55, the second at Mile 4, and the third at the turnaround point). Volunteers just stood by the water stations and didn’t even bother pouring water. Promised “Medal” was a small challenge coin. Post-race refreshments were some water coolers and a couple boxes of chips and Nabisco snacks. – Beautiful scenery. Plenty of views of the golf courses and marshes with wildlife. I saw some egrets swooping through the marshes. 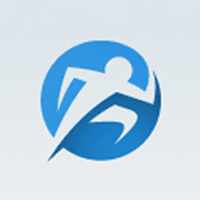 – Cheap if you sign up for the next year’s race when they have their discounted rate immediately following the race. I only paid $41. – Pancake flat course. Absolutely no hills or bridges. – Winding course that features a lot of abrupt turns and running on uneven sidewalks/golf cart paths. – Traffic is not controlled and the locals were not generally respectful of what you were doing so there are lots of obstructions. Cars and golf carts will act like they have the right of way. – Walkers will block diagonals when the full course meets up with the half course. – Food and nutrition stations needed to be improved. RD’s pre-race description of the stations was wrong (e.g., there was no jellybean stop). Volunteers were handing out barely filled cups and most water stations only had a handful of volunteers (i.e., not enough time to grab a second cup). I assume that this is because there were not a lot of people on the island that weren’t participating in the event as competitors or as spectators. – Swag was awful. The shirt was openly mocked by participants and the medal was not much better. – Accommodations are difficult to come by. There’s not much to do on the island outside of the golf course and Charleston is ~30-45 minutes drive away. Don’t get me wrong, the island is beautiful but when the weather went south, we just stayed in our AirBnb. – Course is very crowded at the start prior to the full/half split 5 miles in. – Not a lot of crowd support along the way. Felt more like a training run through a residential neighborhood than a race at times. Very flat race: You go up and down two overpasses and one tunnel in the first 5 miles and that’s it for elevation. Expo was tiny. Pretty pointless having it. Course can be a bit boring at times. Running down the boardwalk for miles before doing out and backs can be tough on your mind. Post-race area was easy to navigate and conveniently located near restaurants. Massages, beer, bagels, soup, gatorade, bananas, water ice, and chocolate were offered. One thing that needs to be fixed is the garage parking. Bally’s Casino was not prepared for the rush post-race. We were stuck on the 7th floor of the garage before my friend and I bailed on our ride back to the house we were staying at. Half marathon course is difficult. Starts on the C&O Canal Trail which was wet and gravelly. Very hilly in the first half through the Antietam battlefields. Swag was meh. Medal is a fired clay medallion. Sponsored water bottle, pint glass and long sleeved t-shirt were also provided. Course support was awful…. Too few stations for a hilly course. Gatorade served was very weak and diluted. They should have had reassigned course marshalls at non-intersections to man more stations. Post-race was pretty good… Massage and stretch tables and recovery boots and cool Oktoberfest party at the Bavarian Inn. They could have had more food options close to the finish line (just pizza, fruit and bars). NOTE: They use gun time for the race if you’re trying to get a PR.